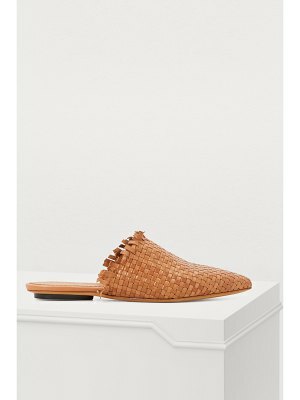 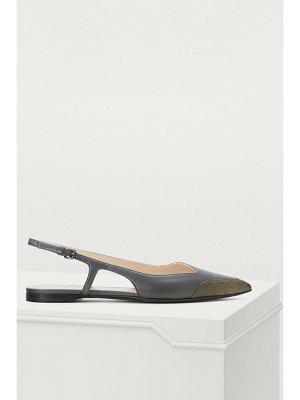 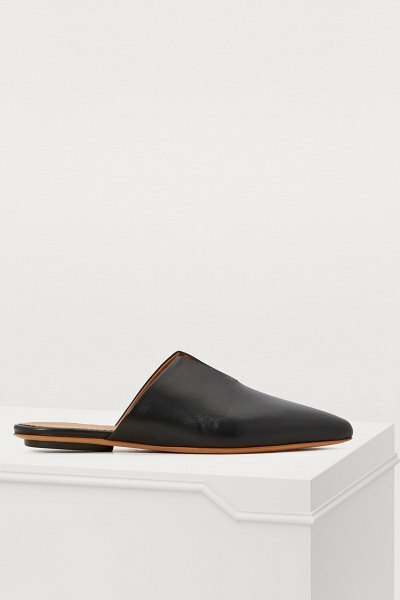 Forte Forte's sophistication is based in its masterful artisanal expertise, as demonstrated by these flat leather mules. 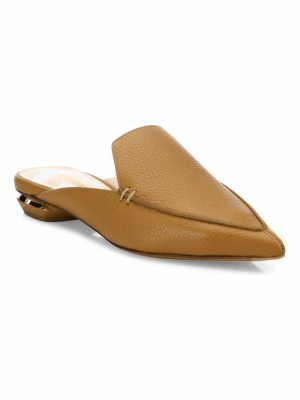 The pointed-toe piece is offered in smooth leather embellished with sensual lines. 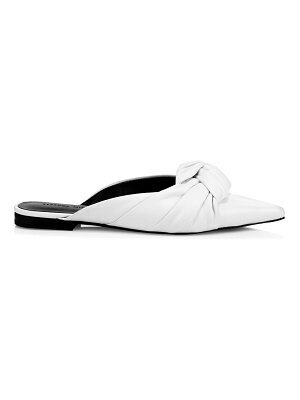 A V cut-out reveals the instep, which is decorated with two tone-on-tone overstitched seams. 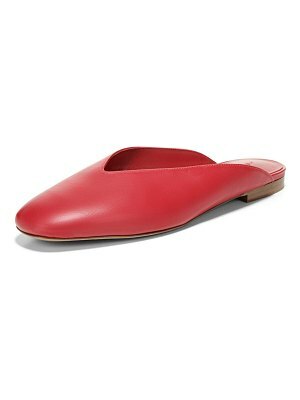 Get a retro-inspired urban outfit by pairing these mules with 7/8-length pants and a flowy, polka-dot shirt.